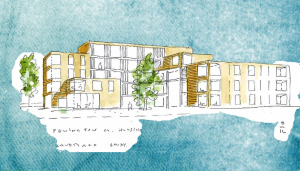 Penington CoHousing is Glasgow’s first Senior CoHo development, a community-led housing initiative. It is a membership organisation developing a not-for-profit new-build cohousing project for over 50s in Glasgow. You can get involved with this exciting, innovative and alternative residential project by volunteering to assist their treasurer with fundraising applications. Either gain new fundraising skills or build on existing ones. If you are interested int his role, click here.